Chocolate is awesome. I mean just about everyone can agree that it’s just amazing. Except my husband. Because he is really weird. He does not like chocolate! I totally don’t gt it, but he doesn’t. He does however like peanut butter, and he can put up with chocolate as long as there is some peanut butter involved. The four year old also does not like chocolate (weird child), but she DOES like this peanut butter fudge. That’s because it’s even more awesome than chocolate because it has chocolate AND peanut butter. YUM. This recipe originally came from Heavenly Homemakers Peanut Butter Honey Fudge recipe, but that one wasn’t quite chocolaty enough for me, so we tweak it a little around here. Okay, enough talk, more chocolate. 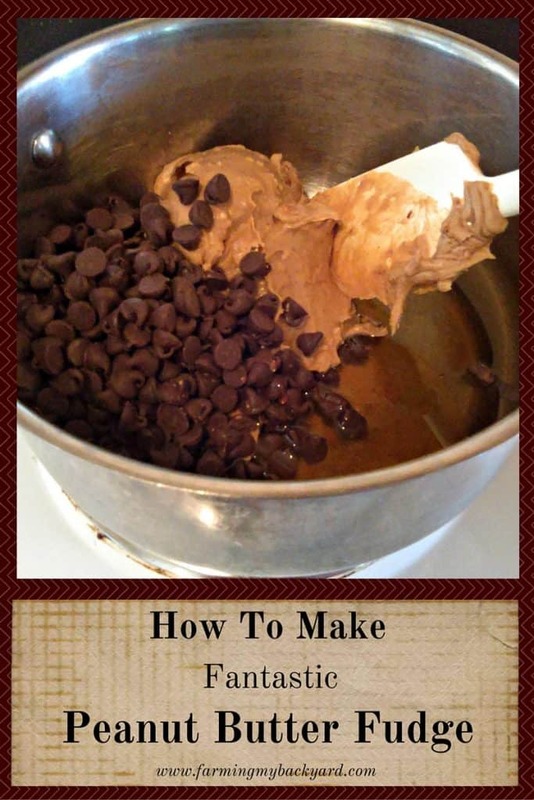 Combine 1 cup chocolate chips, 1 cup peanut butter, and 1/2 cup honey. Warm until the chocolate melts. Stir until combined. Cool. Eat. The End. Some day the plan is to make this from our own honey, but the day we get bees is still VERY far away. Now if we could plant a cocoa tree that’d be something else. 😉 This isn’t a totally homegrown recipe, but I like to make it when I’m craving something wrapped in plastic. It’s one of my favorite ways to reduce waste! Combine ingredients in saucepan or microwave safe bowl. Heat on stove top or in microwave until the chocolate chips melt. Spread fudge into shallow pan and place in fridge to cool. Oh yeah! Now I have to go make it with marshmallow creme. I am thinking BOTH! Honey AND Marshmallow creme…. I can tell from this post, We could be good friends! Lol, is there anything better than chocolate fudge and coffee? I think not! 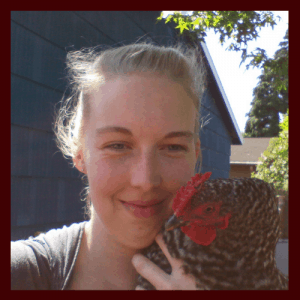 Thanks for sharing on the Homesteader hop! This looks so easy and delicious. I can’t wait to try it. Thanks for posting on the #WasteLessWednesday blog hop. It is! Definitely give it a try.